From the smash-hit anime widely popular around the world, My Hero Academia, a new Nendoroid is up for pre-order! Shoto Todoroki, the hero who can manipulate fire and ice, appears in round and cute Nendoroid form with all his unmistakable coolness intact! 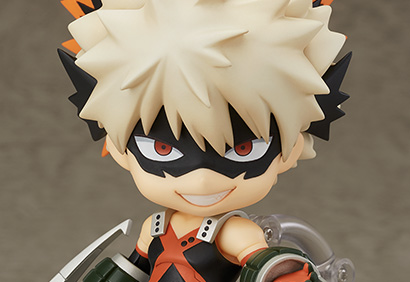 Along with pre-orders beginning for Nendoroid Shoto, Nendoroids of Izuku and Katsuki are also getting a re-release! 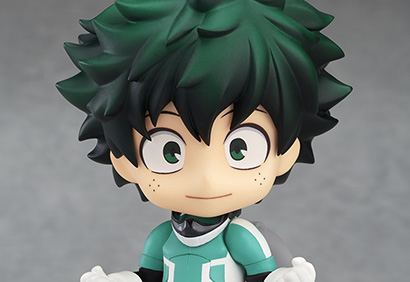 This is the first time My Hero Academia Nendoroids will be officially released overseas. Assemble these heroes who fight for the future to recreate your favorite scenes from the anime or create situations all your own! Add some Plus Ultra to your collection!